Nicolas Paillot de Montabert is a partner at Accuracy. After a five year experience with Ernst & Young (former Andersen) and PricewaterhouseCoopers in transaction support, Nicolas joined Accuracy in June 2006 and was appointed partner in January 2014. Since then, he has developed the real estate practice within Accuracy and specialises in transaction advisory services for REIT’s, funds and real-estate developers. Nicolas speaks French and English. He has been involved in projects that require complex financial modelling, especially asset return/ IRR models, notably in the context of shopping centres or real estate portfolio acquisition in Europe. 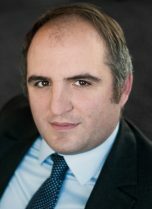 Nicolas has also accompanied real estate developers in their major external growth operations and synergies assessment. Vendor due-diligences on the asset disposals by a large commercial real estate company. Vendor due-diligences on a shopping mall portfolio sold to a French real estate investment company. Vendor due-diligences on a shopping mall portfolio sold to a Dutch real estate investment company. Vendor due-diligences on the disposal of 127 retail galleries to a French real estate investment company for assets in France, Spain and Italy. Buy-side assistance to a French real estate investment trust in its proposed public offer to acquire a majority stake in a Dutch real estate company (pan-European asset portfolio). Buy-side assistance to a French real estate investment company on the contemplated acquisition of an asset portfolio in France and Belgium. Buy-side assistance to a French real estate investment company on the contemplated acquisition of the commercial areas in the major Italian railway stations. Buy-side assistance to a French real estate investment company on a shopping centre acquisition in Nice (France). Buy-side assistance to large commercial real estate company on the acquisition of a majority stake in a high end development.